Home Depot Buy More Save More January 2 - 15, 2018 ~ Home Depot Flyer Pro Savings Valid Tue Jan 2 – Mon Jan 15. 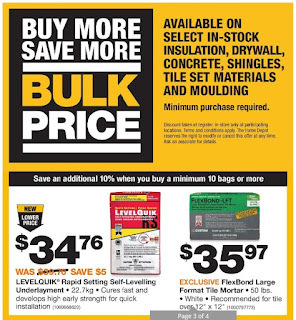 Buy more save more bulk price available select in-stock insulation, drywall, concrete, shingles, tile set materials and moulding minimum purchase required. 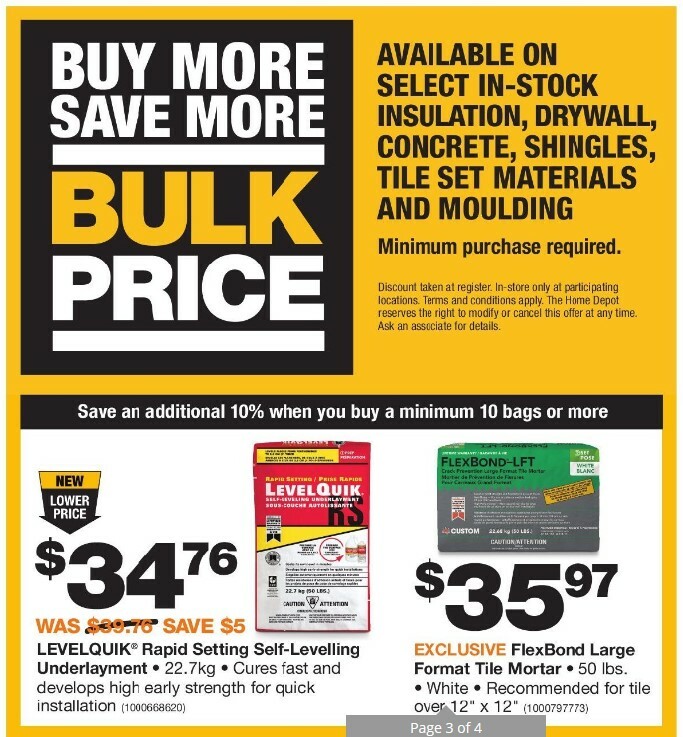 Levelquik Rapid Setting Self-Levelling Underlayment Model #: 1000668620 $39.76 Regular Price $34.76 Sale Price $5.00 Savings 22.7 kg. Cures fast and develops high early strength for quick installation. Flex Bond Large Format Tile Mortar Model #: 1000797773 $35.97 Sale Price White. Recommended for tile over 12" x 12". Amana 15.9 Cu. Ft. 28' Refrigerator Model #: 1000812971 $698.00 Sale Price Flat door finish. 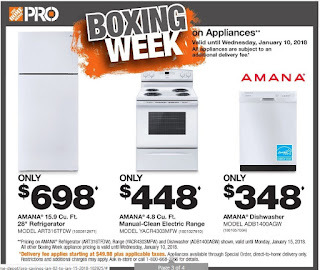 Amana Dishwasher Model #: 1001057004 $348.00 Sale Price US-united states. 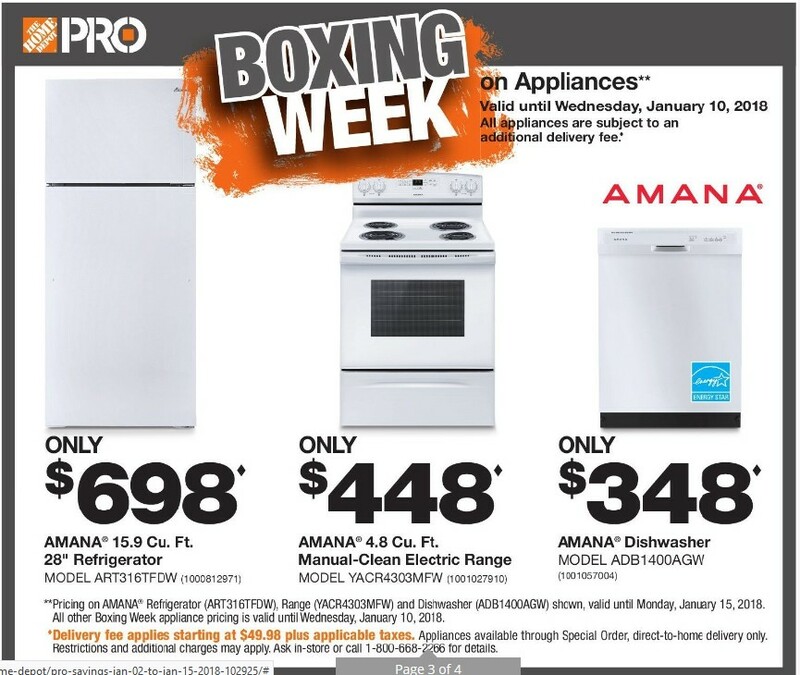 For detail visit Home Depot Canada store near you!